For these reasons, parent requests for specific teachers, classes or students will not be considered for the 2015-16 School Year. We do realize parents have a wealth of knowledge about their child and parents may want to share some pertinent information about their child. Please contact me kostiukg@holyspirit.ab.ca if there is any information that you would like to share about your child that will help the staff place your child in the best educational environment possible. Please do not indicate any preference to be with any specific teacher, specific homeroom (combined class or straight class) or specific student.We attempt to create balanced classes that are as similar as possible to each other. This has been difficult the last few years due to the number of parent requests for a certain teacher, classroom or to be with certain students. Last year we had 30 separate parental requests that affected 46 students. 46 students represent 21% of our Gr. 1-6 student population. I take full responsibility for granting these parental requests, but in hindsight they were a factor in creating some unbalanced classrooms in the school this year. Parent requests make it difficult to create balanced classes. Class lists will not be published until the first day of school as student numbers and teacher assignments may change prior to the commencement of the new school year. 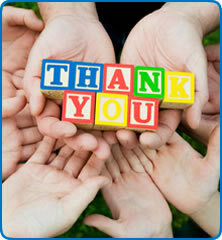 I would like to thank you for trusting us in making sound educational decisions in the placement of your child. Here is a collection of videos featuring our school. A big thank you to Erv Fehr from ‘A Public Education’ for creating most of them. Also, thank you to all the students, staff and parents for participating in them. I hope you enjoy watching them and you get a sense of how special our learning community is.